Search for existing work items. 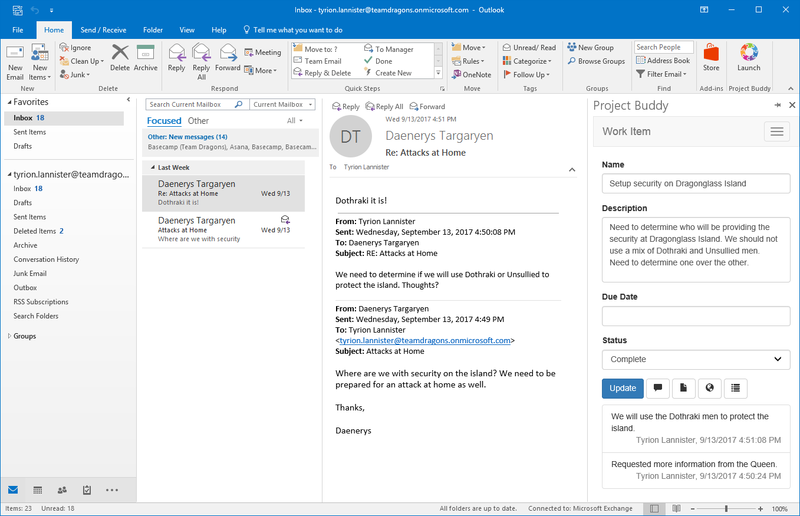 Create new work items without leaving Outlook. Add comments to work items. Open a browser window to that will take you directly to the work item in your project management system. No need to perform any additional searches. Add attachments from emails directly to work items. No need to save files locally first. Add members to each project. Based on the participants on an email thread, we will load the appropriate project automatically. Once you associate an email to a work item, the association is saved. Everytime you return to the email, the work item will automatically be loaded. We remember the associated work item through the conversation. All replies and future communication in the same thread will automatically open the associated work item. 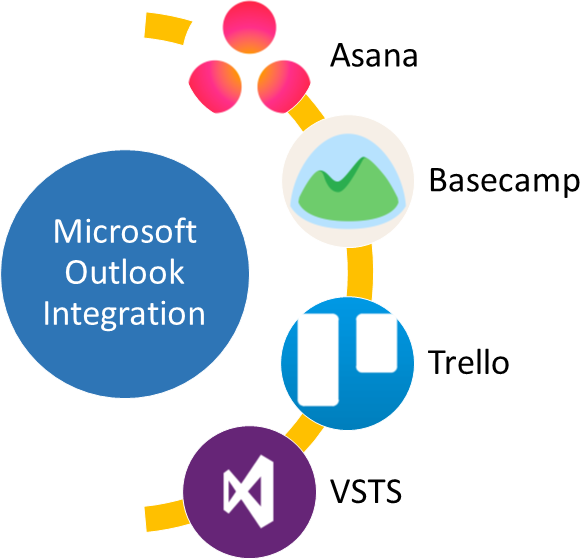 More integrations are being added all the time. Pertinent information from your Project Management System is embedded directly inline with your email. You may also pin the pane so it appears with every email you look through showing you the related information from your Project Management System, when behind the scenes always selecting the right system, project, and task. Simple no hassle pricing. Our fee is per user. There are no additional per project management system, per project, storage, or any other fees. Phone and email support is included in all paid subscriptions. No charge for read access to all your data. Simple no commitment plan of $2 per month. With a one year commitment, save 15%. Contact us for teams with 100 users or more. In order to get started, download our app from the App Store here. Subscription purchases are made in the app.